At Edgar Snyder & Associates, we've helped over 75,000 injury victims get the compensation they deserve. Over the past 30+ years, we've learned that knowledge is key in preventing accidents from occurring – which is why we compile statistics on all types of accidents. Remember to review our safety tips as well, and contact us for a free legal consultation if you're injured in an accident. There were 4,604 boating accidents in 2010 — 605 fatal accidents and 3,999 non-fatal accidents. There were fewer accidents, injuries, and deaths in 2010 than in 2009. There were 4,604 accidents in 2010, down from 4,730 in 2009. There were 3,153 injuries in 2010, down from 3,358 in 2009. And there were 672 deaths in 2010, down from 736 in 2009. March had the highest percentage of fatal accidents, while August had the lowest percentage. May and July had the highest number of fatal accidents at 108 each. July also had the highest number of non-fatal accidents at 1,032. May was the deadliest month, resulting in 121 deaths in boating accidents. Alcohol use involved in 330 accidents, 126 deaths, and 293 injuries in 2010. "Operator inattention" was listed as the highest contributor of boating accident causes – at 759 accidents, resulting in 457 deaths. The top 5 primary contributing factors in boating accidents that caused injuries included: operator inattention, excessive speed, alcohol use, improper lookout, and operator inexperience. The highest number (924) of boating accidents occurred from 2:31 to 4:30 pm in the afternoon. The highest number of deaths (121) occurred from 4:31 to 6:30 pm, and the highest number of injuries (651) occurred from 2:31 to 4:30 pm. About 484 people drowned in boating accidents in 2010. Five kids ages 12 and under died in boating accidents when they were the operator of the boat. Twenty-four were injured. Fifteen teenagers ages 13 to 18 died in boating accidents when they were the operator of the boat. In 2010 in Pennsylvania, there were 70 boating accidents — seven people died. 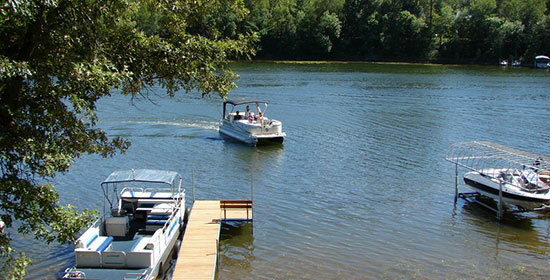 Pennsylvania accounted for only one percent of the total boating accident deaths in 2010. The number of boating accidents rose from 2009 to 2010, but the number of fatal accidents and deaths decreased. In Pennsylvania, alcohol use contributed to two accidents. One person died, and two were injured in these accidents. There were 685 boating-related deaths in 2007. The number of boating accidents rose from 4,967 in 2006 to 5,191 in 2007. The number of boating injuries rose from 3,474 in 2006 to 3,673 in 2007. Over two-thirds of all fatal boating accident victims drowned. Ninety percent of the victims were not wearing a life jacket. Alcohol use was the leading contributing factor in fatal boating accidents. It was the primary factor in 21% of deaths. There were 391 accidents associated with alcohol use and 145 deaths. 513 accidents were the result of boat malfunction or failure. The most common types of boats involved in accidents were open motorboats (44%), personal watercraft (24%), and cabin motorboats (15%). The number of deaths linked to canoes and kayaks increased from 99 in 2006 to 107 in 2007. Sources: "Recreational Boating Statistics 2010." U.S. Coast Guard. 2011. "Boating Statistics -- 1998." United States Department of Transportation, United States Coast Guard. "Recreational Boating Statistics 2007." The U.S. Coast Guard.